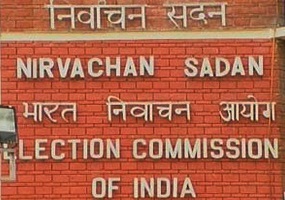 Election Commission has postponed the first phase of elections in Uttar Pradesh from February 4 to March 3 2012 while counting of votes for all five states’ assembly polls would now be taken up on 6th March. Earlier, the Election Commission has given a deadline of 11th January to authorities in Lucknow and Noida to cover the statues of elephants erected at different parks and memorials of in Uttar Pradesh. The order of EC, issued last night, clarifies that all works would be completed by 11th January of covering the statues of Mayawati, Kanshiram along with all the elephants, the election symbol of the ruling BSP. State Chief Electoral Officer Umesh Sinha said on Monday that the directive of the EC was clear and the authorities have been ordered to complete it in the time-frame. election Commission has put on hold the first phase of the polling in Uttar Pradesh Assembly elections scheduled to be held on the 4th of next month. In a statement, the commission said on Sunday that rescheduling was required on account of uncertainty over the date of muslim festival ‘Eid Milad un Nabi’. Rescheduling of polling in the 60 assembly constituencies is being done based on requests and suggestions received by the commission during their review on Lucknow on Sunday.